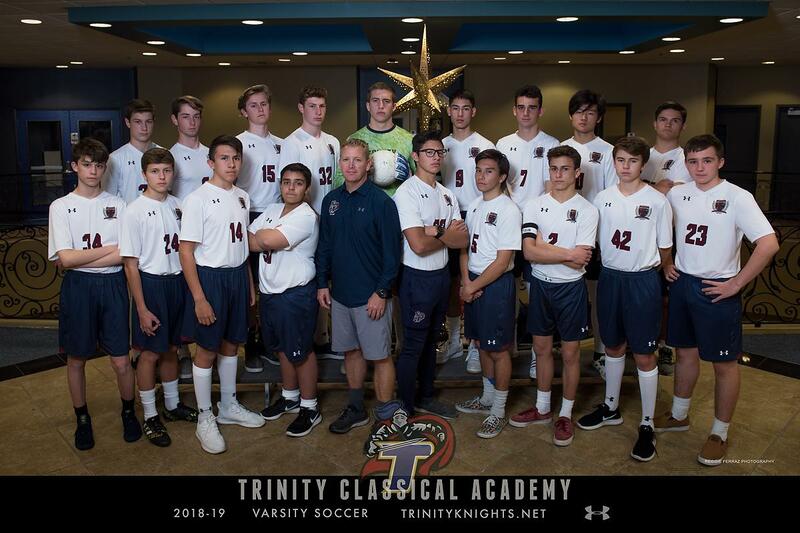 Trinity Classical Academy boys soccer faced off against Vasquez High School at Tesoro Sports Park on Monday to open Heritage League play. Beginning the game with intensity, Trinity was able to score the game’s first goal, but couldn’t keep pace with a scoring flurry by the visitors, losing 7-2. Freshman Diego Fu opened up the scoring by netting a Nolan Kulp corner-kick header in the opening minutes of the first half. Rising above a number of Mustangs, Fu found some space on the far post allowing Kulp to drop in the beautiful pass to put the Knights (3-4-1 overall, 0-1-0 in Heritage League) ahead 1-0. Vasquez answered on a long free-kick that took an unexpected bounce in front of the Trinity defense, which allowed Mustangs forward Connor Jenkins to get to collect the ball about 10 feet in from the goalie’s box and tie the game at 1-1. Not a minute later, the Mustangs took their first lead of the game as Jackson Clyde Kestler was able to corral a through ball down the left flank giving Vasquez the 2-1 lead. 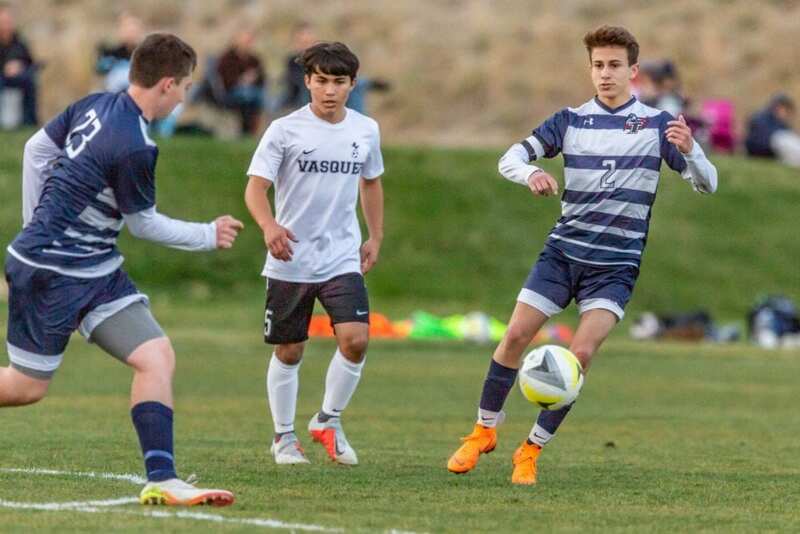 With the momentum swinging in Vasquez’s (2-1, 1-0) favor, Trinity’s forward Ben Wexler capitalized on a mistake by a Mustang defender who tried to make a pass back to his goalie. Wexler read the play, stepped in front of the ball just inches in front of the Vasquez goalie’s outstretched hands, dribbled it onto his left and put the game-tying 2-2 goal in the back of the net. Vasquez was able to recapture a 4-2 lead going into halftime behind Kestler’s second and third goal of the half. Kestler finished the game with four goals. Playing from behind in the second half, Trinity was able to keep the game competitive but just couldn’t find an answer for the deficit. The Knights square off against rivals Santa Clarita Christian School at SCCS at 3 p.m. on Friday.